Liberty.me is the global liberty community. We bring together freedom-loving people from around the world. You get your own blog, hundreds of books, useful guides, live events, and tons more great stuff! Now Liberty.me has teamed up with Free the People Foundation, a community with a broad libertarian mission, an ethos open to the liberty-curious on the left, right, and center, and a vast network and expertise in outreach. Together, we represent a powerhouse of inspired resistance. The new Liberty.me, in partnership with Free the People, is rooted in a simple conviction: the way to change the world is to change our own lives first! Welcome to the global liberty community! For all of us here, this is a dream come true. We can do things that change the world. The future can be better than the past. We only need to believe and act. Liberty is not just an abstraction. It is not only for the realm of thinking. Liberty can be lived. It must be present in our own lives in order to have a fighting chance in the world. That means practical ideas: using new technologies, pursuing alternative education and health care, innovating new systems of money and transportation, staying away from oppressors and escaping them when necessary. No single idea is the magic bullet. But liberty can be built through a thousand marginal steps forward. The benefits are personal and real. The social results are highly promising. Liberty.me believes in inspiring these practical ideas toward building freer lives. This approach is both a challenge and an inspiration. We are especially interested in your ideas of how to make our home better. Building Liberty.me will take all of us. This is your community. Together we can do wonderful things! 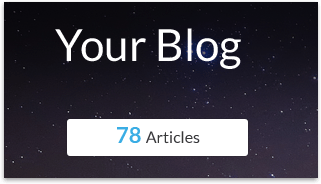 Your own blog - Reach thousands of liberty-minded readers with every post. You control what and when you publish - no editors. A custom url just for you. Liberty Library - Hundreds of liberty classics free with membership. Dozens of practical guides that help you get freer in your own life. Thousands of Members - Connect with a community that cares about liberty and wants to help you live a freer better life. Make friends all over the globe and share your hobbies and interests - from philosophy to fly-fishing, from music to DOTA. Private Discussion Forums - Explore topics and get answers in an intelligent, helpful setting. You'll find helpful articles on many of the features of Liberty.me and a button to contact us. We're here to answer any questions or help out with any problems. If you have any issues with content or other users, please let us know! I've long dreamt about a very cool, liberty oriented coffee shop, where I could go, visit, learn, debate, and just hang out, and here it is, in my own home, on my laptop. This "coffee shop" is brand new and is already my favorite place online. But it will be even better when you join in. I joined Liberty.me about a year ago or so, or maybe less than that. I always liked Jeffrey Tucker’s style and depth, and I had the feeling it was going to be an interesting community of like-minded people, where I could participate and whom I could share views with. Well, actually, Liberty.me has totally exceeded my expectations. Not only do I find it absolutely interesting but I almost ceased using Facebook! I do feel I’ve already made new true friends at Liberty.me, plus the amount, quality, and depth of the information and knowledge I now have access to, by being a member of Liberty.me is just mind-blowing! I am not exaggerating, it is phenomenal! The site is very well set up: there are discussions, blogs, articles, groups, news, links, etc.! Plus I can download tons of priceless books and guides. And also the members writing articles are brilliant, as are their articles! It is an ongoing source of priceless information and knowledge! I am amazed. I’m amazed at the fact that something like Liberty.me has come to exist… and at the incredible speed it is growing! We’re welcoming new members all the time… more and more each day! It is very pleasing and encouraging to see all this actually happening! Really! I’m so pleased to be a part of Liberty.me! Let’s continue growing! We will win! 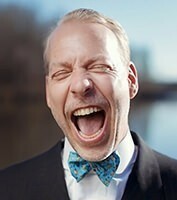 Jeffrey Tucker is Chief Liberty Officer and founder of Liberty.me. He is also Director of Digital Development for the Foundation for Economic Education, executive editor of Laissez-Faire Books, research fellow at the Acton Institute, policy adviser of the Heartland Institute, founder of the CryptoCurrency Conference, member of the editorial board of the Molinari Review, an advisor to the blockchant application builder Factom, and author of five books. He has written 150 introductions to books and many thousands of articles appearing in the scholarly and popular press. His new book is Bit by Bit: How P2P Is Freeing the World , with an introduction by Patrick Byrne of Overstock.com and a foreword by investor Roger Ver. Matt Kibbe is a leading advocate for personal, civil and economic liberties. An economist by training, Kibbe is a public policy expert, bestselling author and political commentator. He served as Senior Advisor to Concerned American Voters, a Rand Paul Super PAC. He is also Distinguished Senior Fellow at the Austrian Economic Center in Vienna, Austria. Dubbed “the scribe” by the New York Daily News, Kibbe is the author of the #2 New York Times bestseller Don’t Hurt People and Don’t Take Their Stuff: A Libertarian Manifesto (HarperCollins 2014), Hostile Takeover: Resisting Centralized Government's Stranglehold on America (HarperCollins 2012) and coauthor of Give Us Liberty: A Tea Party Manifesto (HarperCollins 2010). Kibbe appears frequently on national television including FOX News, HBO's Real Time with Bill Maher, CNN, MSNBC, PBS, The Blaze TV and CSPAN. Before joining FreedomWorks, Kibbe served as a congressional Chief of Staff and House Budget Committee Associate. He was also Budget Director for the U.S. Chamber of Commerce, and Senior Economist for the RNC under Lee Atwater. Grant likes to think of himself as a sort of spiritual medium between our members and our development team. He heads up the Liberty Pals group and works closely with our developers organizing, prioritizing, testing, and creating tasks tailored to improve every aspect of the site. Contact Grant if you need help figuring out how to do something on Liberty.me or have a suggestion for how we can improve. David is the technical architect of Liberty.me. As “Chief Wizard”, he is responsible for constantly innovating and improving the technology that goes into Liberty.me, as well as making sure the Liberty.me website keeps working great! Contact David if you have any ideas for new Liberty.me features. After going on a conference binge last summer, Liz is doing it all over again to highlight the wonderful experiences that libertarian organizations across North America have to offer. She holds a Bachelor’s degree in biochemistry, and intends to specialize in nanotechnology in graduate school. Liz is currently on the Executive Board of Students For Liberty, and is a Campus Coordinator for the Canadian Taxpayer Federation's Generation Screwed initiative, as well as a running candidate for the Libertarian Party of Canada. Manuel Lora is a computer and photography geek, an amateur tinkerer and aspiring rock star. Download our media kit with the official Liberty.me logos and style guide. Liberty.me does not sell or rent subscriber information (including name, email address, physical address, and credit card information) to any third parties. We collect usage data from members and non-members who use the site to better understand how to improve the site and our service. We may contact you from time to time with information and promotions for Liberty.me but you may opt out of these communications at any time.